If you have seen any of my social media pages recently you may have realised that last week we were at Bluestone in Wales! When an email landed in my inbox a few months ago inviting us along for a stay I couldn't contain my excitement. 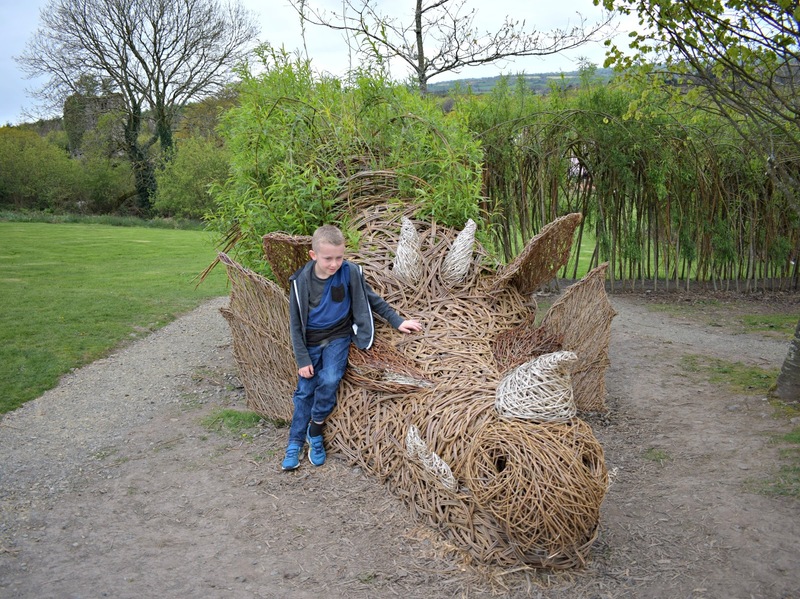 The place looked amazing online and I knew the kids would love it, well last week the time finally come for us to visit so we packed up our car and off we went. Upon arriving we came up to the check in point for Bluestone which thanks to their "drive thru" style check in was super quick and really easy. Its just a case of driving up to the indicated window and handing over either your booking reference number or surname and you are handed your welcome pack and keys and shown where your lodge is! As we were in a Ramsey lodge we could check in from 3pm and had very little time to wait so we parked up for a little bit and checked out the map we had received in our welcome pack. In no time 3pm had arrived and we were shown through the gate and off we went to find our lodge. We had been given a map which our accommodation had been circled on but everything is so well sign posted at Bluestone finding our lodge was really easy to find. 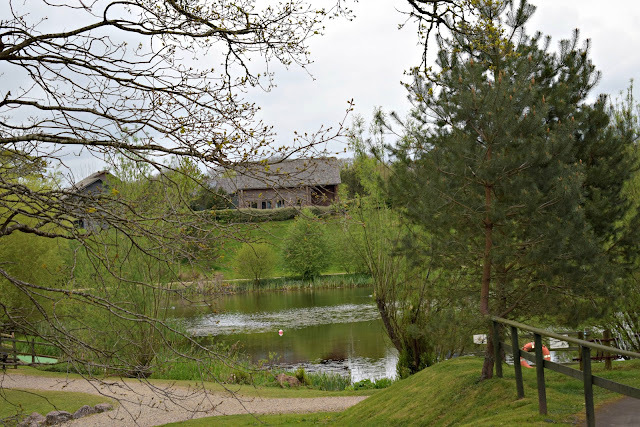 Our lodge was beautiful and you can read more about our Bluestone accommodation here. 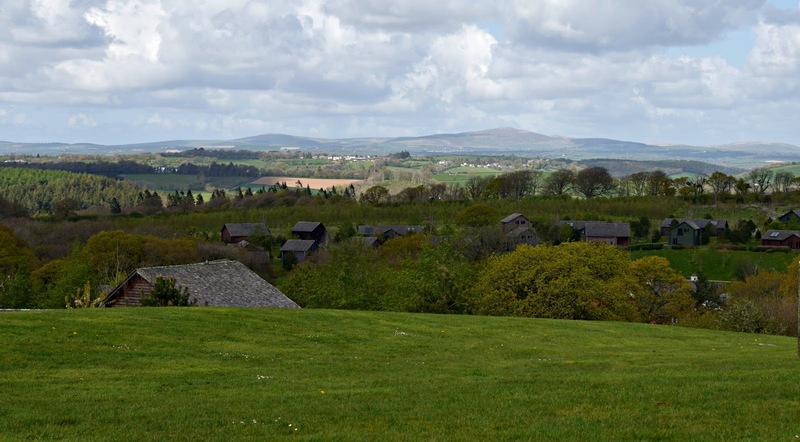 Bluestone is a no car zone (with exception to check in and check out days where cars are allowed back on site), however you can hire bikes or golf buggies to get around whilst you are there. We had been undecided at home about hiring one as we weren't sure how far away our lodge would be from the amenities. We soon discovered we were quite a walk away and opted to hire a golf buggy on our second day. 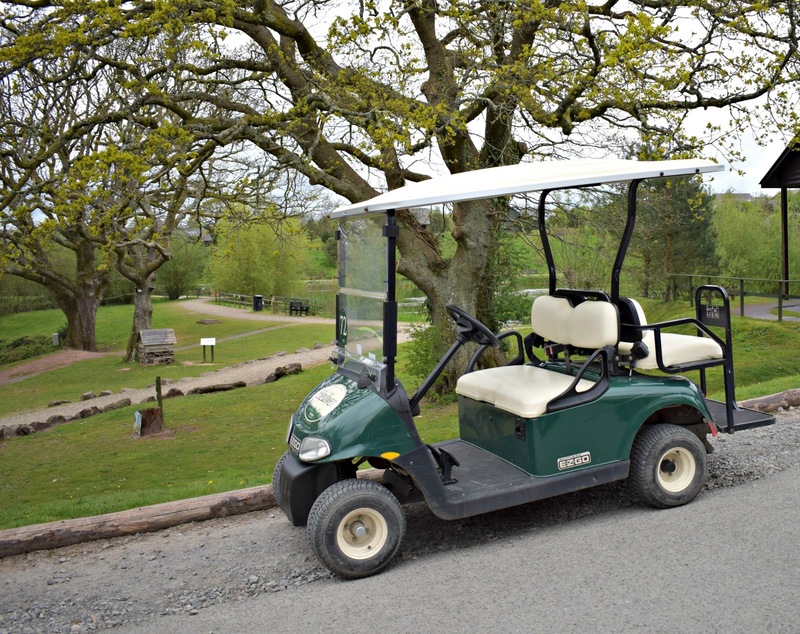 We were really lucky and the buggy hire centre had a buggy for us however Bluestone do advise that you book these before arrival, there is no guarantee there will be any left if you wait until you arrive on site. The cost for buggy hire is £92 for the week (with bikes averaging about the same for a family of 4). I did think this was a little steep but after a day of walking up the hills with a non compliant toddler it was certainly worth it for us. There is so much to see at Bluestone I would suggest setting aside a few hours to explore each day, there are mapped out walks as well as the village, lots of parks, the lake and the steep ravine to name a few. You will also receive a timetable when you check in which will list and detail all the Bluestone activities on offer during your stay with times, dates and prices. 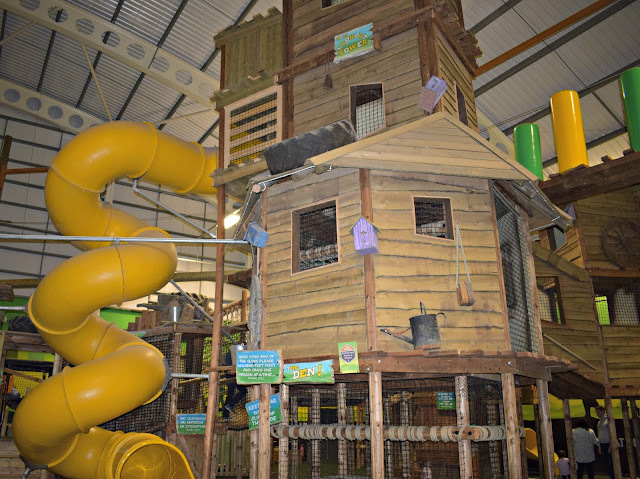 There was something for everyone from baby sensory and messy play to tree climbing, high ropes and even little excursions little ones can go on without parents. James really wanted to take part but lots of the "older kids" activities were 8 + and as he is only 7 was unable to join in. I know when we next return he will have a whole host of activities on his list to do! There are also plenty of places to eat on site at Bluestone from the Chippy to serving your classic fish and chips to Camp Smokey where you can dine al fresco on food cooked on the open fired barbecue! We did grab some chips from the Chippy after our day at Folly Farm and they were delicious and the prices were really good too. The smell coming from the Farmhouse Grill was amazing (and they apparently have a children's play area to keep the kids entertained whilst you wait too!) Unfortunately we didn't eat out at any of the restaurants this time as Evelyn was so tired on an evening from all our exploring but we will definitely be trying them out next time we visit. The Blue Lagoon and Adventure centre were big hits with both James and Evelyn too, with the adventure centre evening featuring a LEGO wall, HUGE soft play centre and even a 9 hole game of crazy golf. With usage of all these things included in your holiday cost! Despite lots of the lodges seeming occupied none of the amenities seemed overly busy which was great. 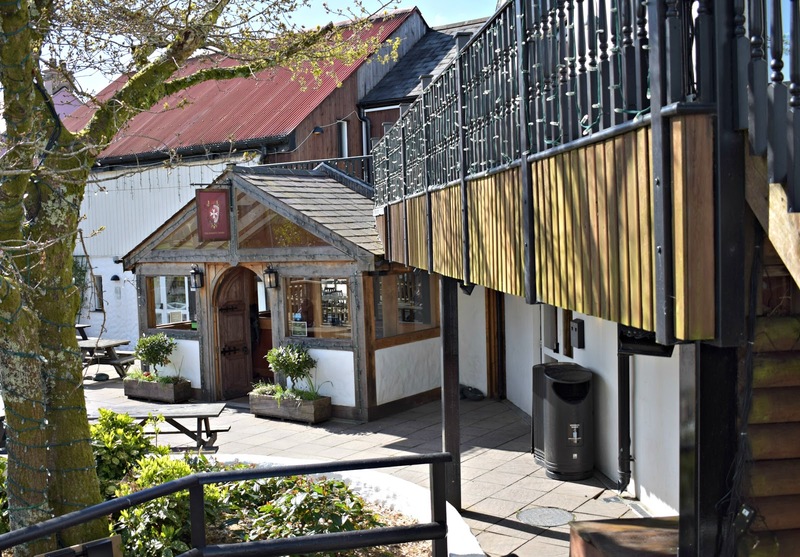 Bluestone never felt cramped or busy at any point which was a big plus for me and a credit to how well Bluestone is organised. The Blue Lagoon is fantastic and we managed to squeeze in 2 visits here as it was such a hit with the kids. There is a wave machine, lazy river and as well as the main pool there are 2 smaller pools with a beach/pirate theme perfect for younger kids! Evelyn loves all the fountains and spouts in these she could play with. James loved the 3 water slides on offer in the lagoon and was thrilled to discover he was tall enough for them all! The swimming pool is actively watched by vigilant lifeguards who were doing a great job, the slides were watched by lifeguards too which meant they ran really smoothly and safely at all times. All the staff we met at Bluestone were fantastic, there really is nothing that is to much trouble and from what we saw they all went out of their way to ensure everyone on site has the most amazing time. We had a little issue with out buggy giving up on us at one point and the staff were straight out to our lodge to try to fix/replace it. The staff we met were always smiling and took the time to engage with the kids which of course Evelyn loved as she is such a chatter box. Whether its the thrill of the high ropes, the adventure of the nature trails or the relaxation of the spa Bluestone has it covered. The park itself is has a friendly village atmosphere that instantly makes you want to smile and relax, which is exactly what holidays should do right? Leaving Bluestone left us all emotional, we may have only been there for 5 days but it already felt like home. Bluestone gave us quality family time with freedom, fresh air and memories that we will remember forever. I know that we will be returning, we couldn't not return its been so special for us. Its the kind of place that I hope my kids will bring their kids in years to come and relive all the amazing memories we are making right now! If you have been thinking about booking a Bluestone break, do it! You won't regret it, its almost impossible to regret visiting somewhere so beautiful and there really is something for everyone. We love Bluestone Wales and have stayed there many times. The blue lagoon is amazing for families! that looks like a really fun place to visit, love the indoor play area. Great review lovely. We felt really emotional leaving Bluestone too! Such a lovely and relaxing place. It sounds like an incredible getaway, the Blue Lagoon looks like so much fun! Love the idea of the drive thru check-in, too!! It always looks such a wonderful place, the setting is idyllic.